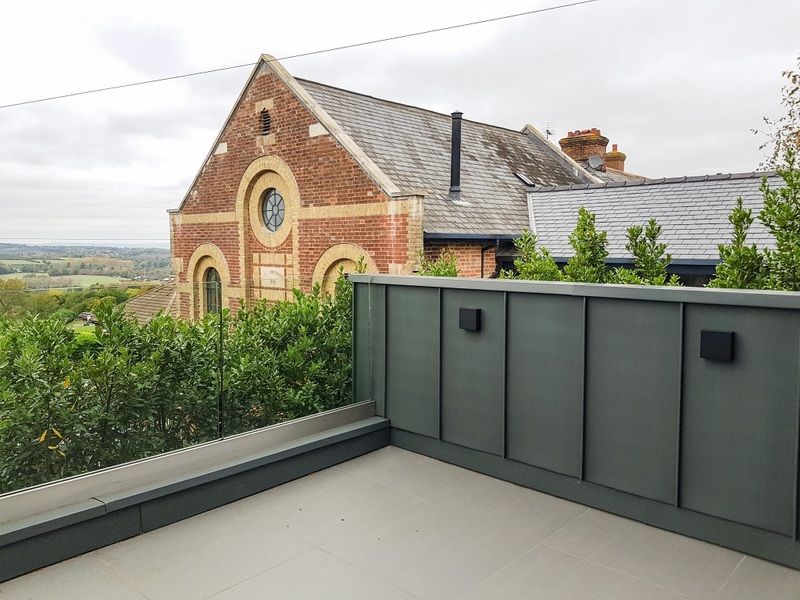 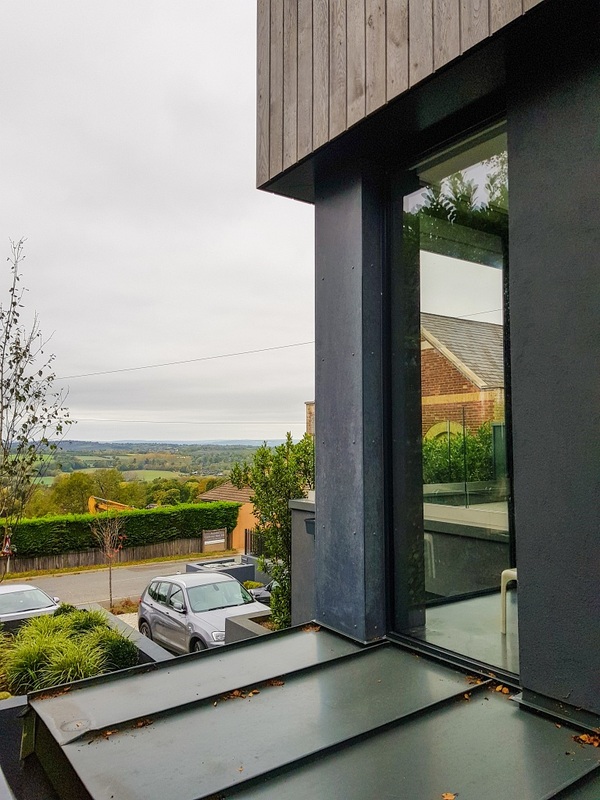 Following the renovation and extension of an old building in Goudhurst, this client had a small restricted site next door. 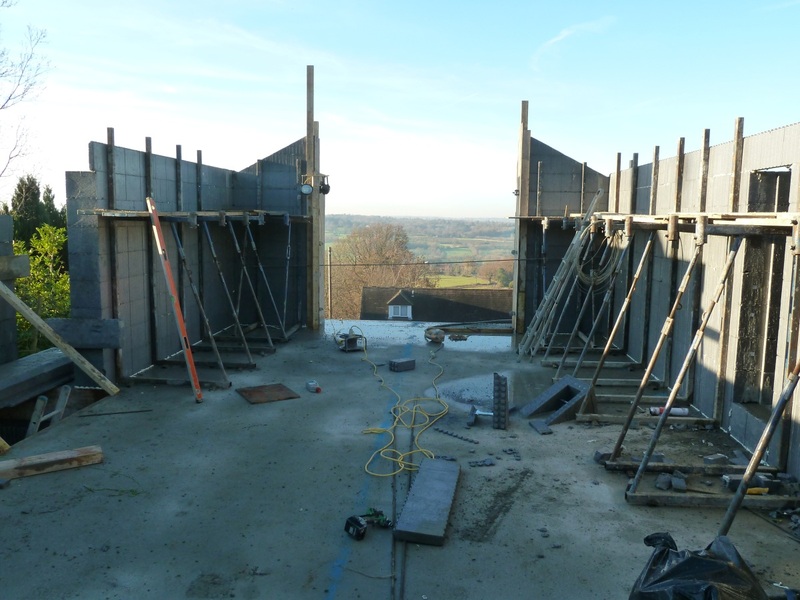 They wanted to take advantage of using this area to construct a dwelling for their children. 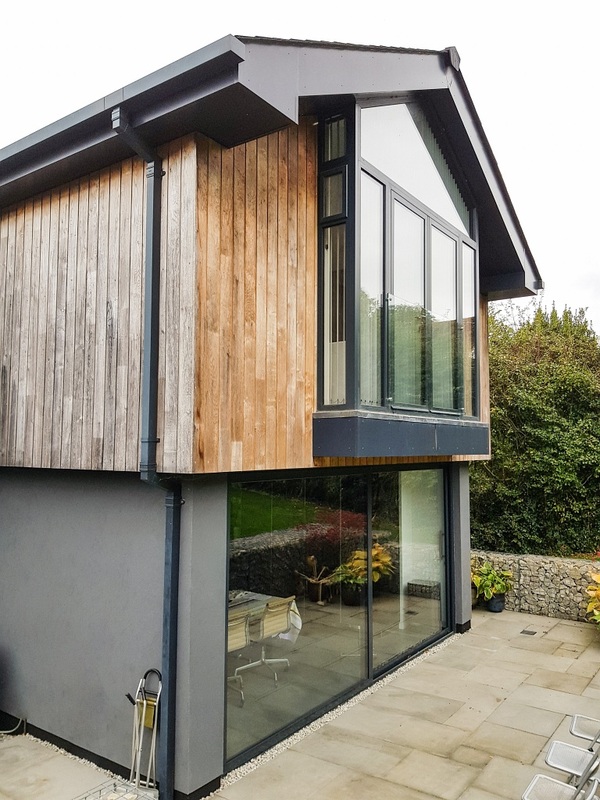 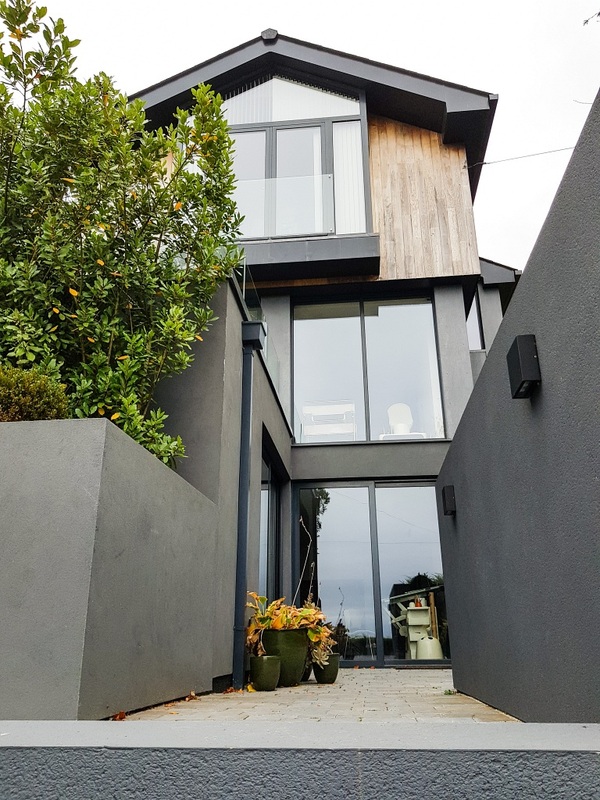 The design was for a tidy two storey over basement with a vaulted roof on the upper storey, providing a living area of approx. 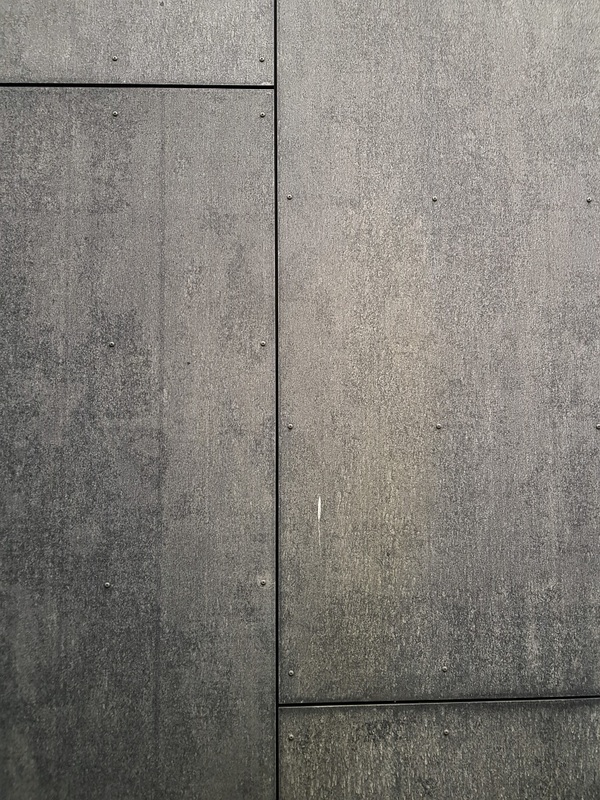 170m2. 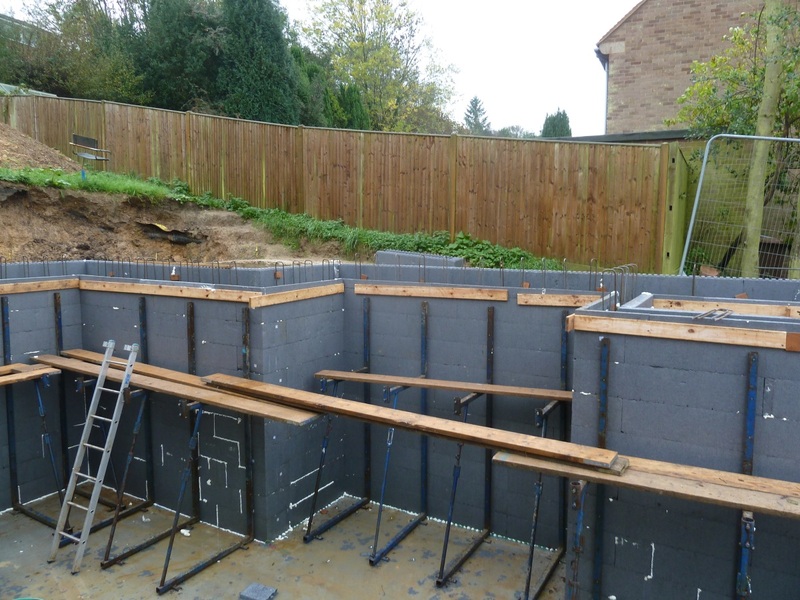 Despite the restricted size of the site, the client wanted to maximise the available space. 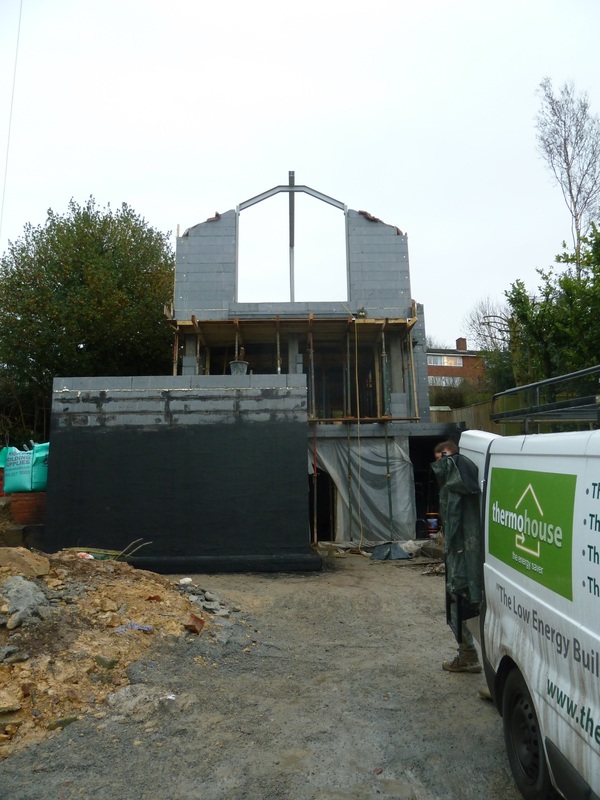 Thermohouse provided a supply and install service for the basement walls, external walls, internal loadbearing walls, Intermediate floors (incorporating the ThermoFloor non-structural permanent shuttering panel) and the ThermoRoof passive roofing panel to complete the air tight thermal envelope of this energy efficient building to comply with the client’s requests. 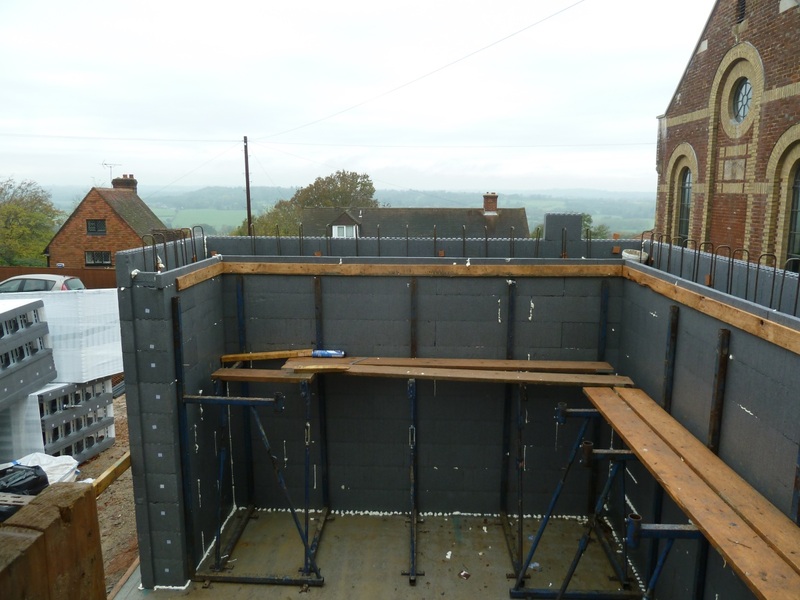 Due to the lightweight modular nature of our system, materials could be easily manoeuvred on site and erected rapidly. 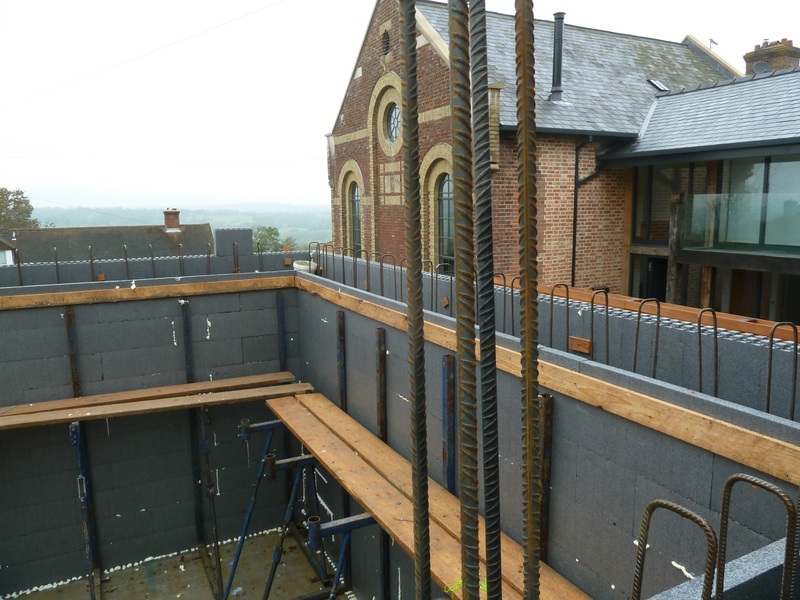 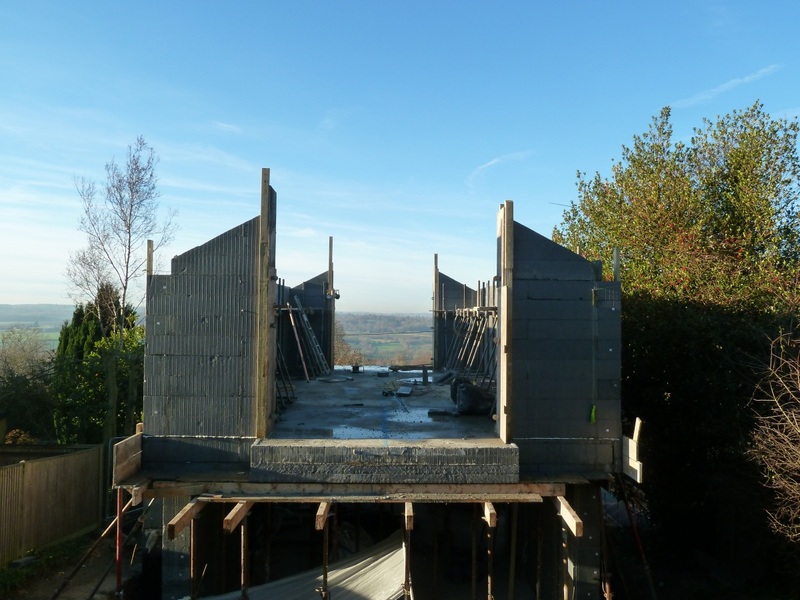 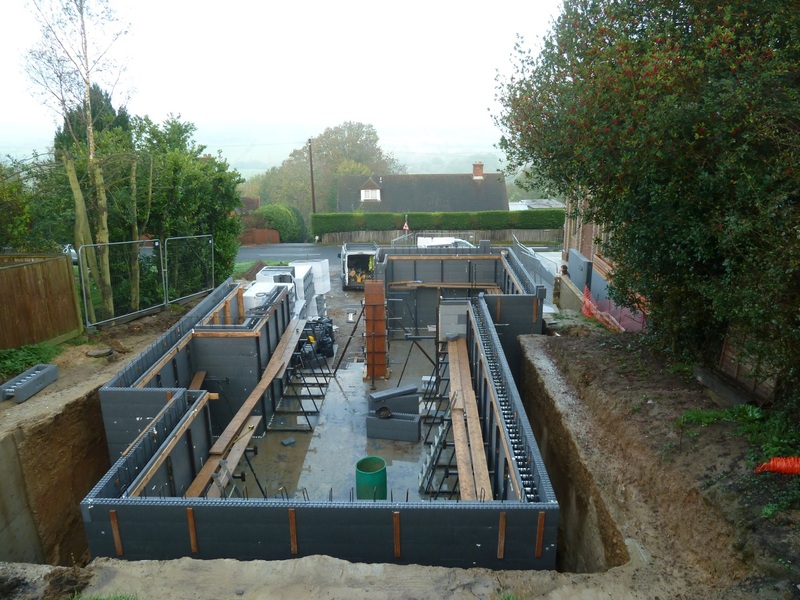 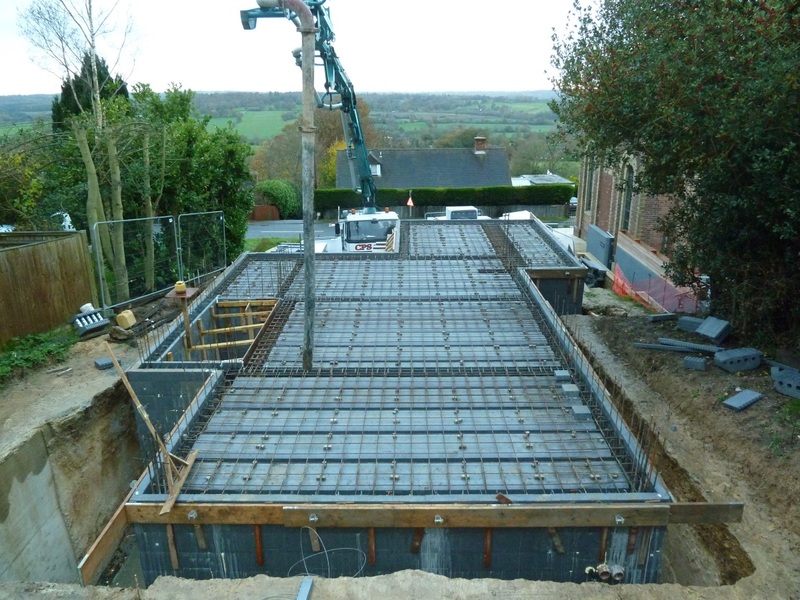 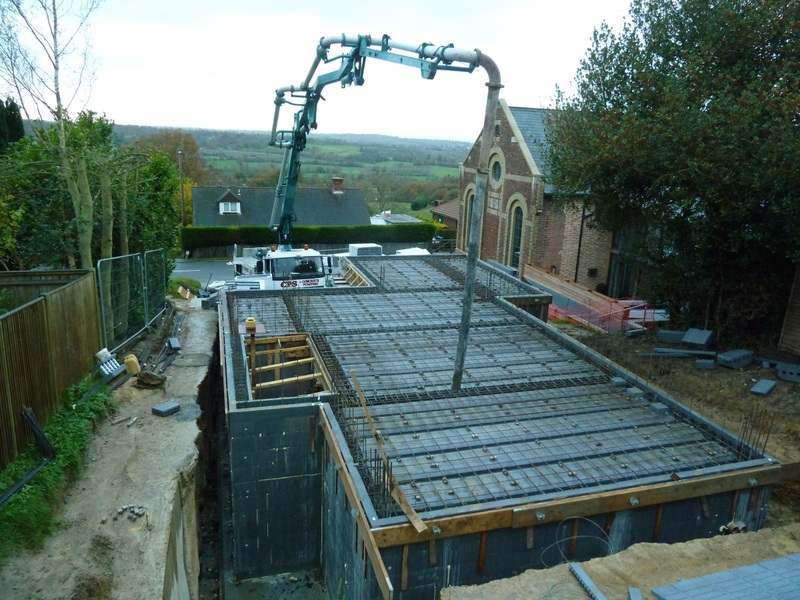 As the basement was formed with ICF basement blocks, the build time was significantly reduced. 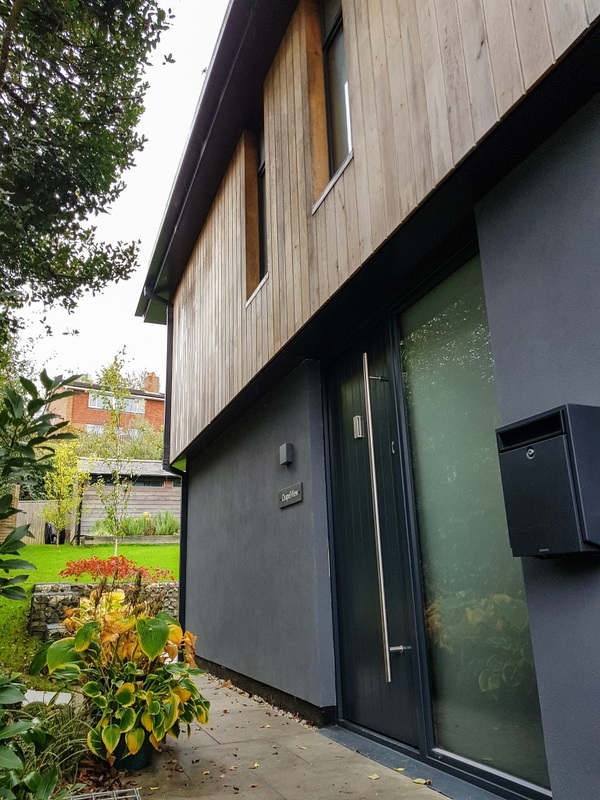 The ICF blocks eliminated the need for the design, installation and removal of traditional shutters, and provided the client with a fully insulated basement. 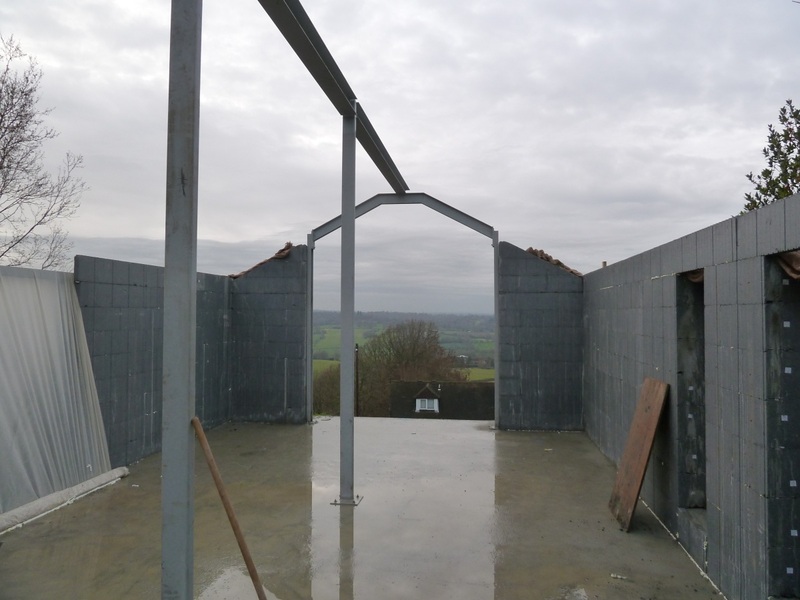 Additionally, due to the structural nature of the Thermofloor panels, the internal space was largely open plan. 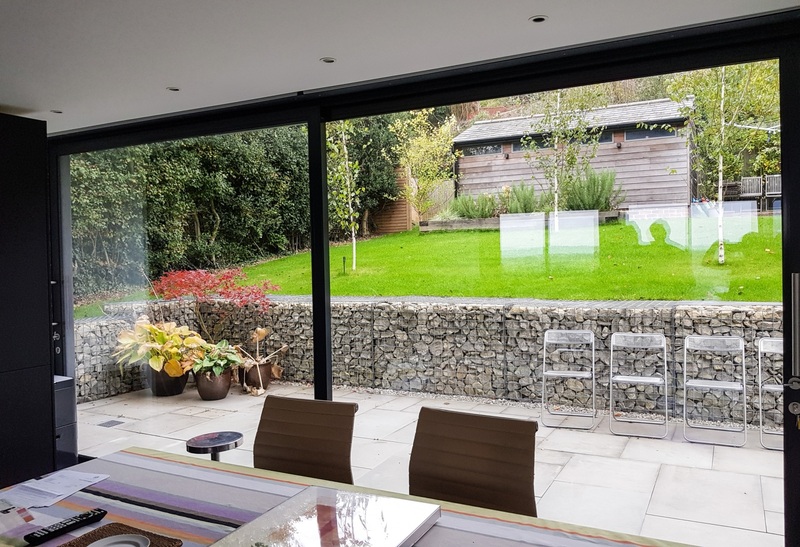 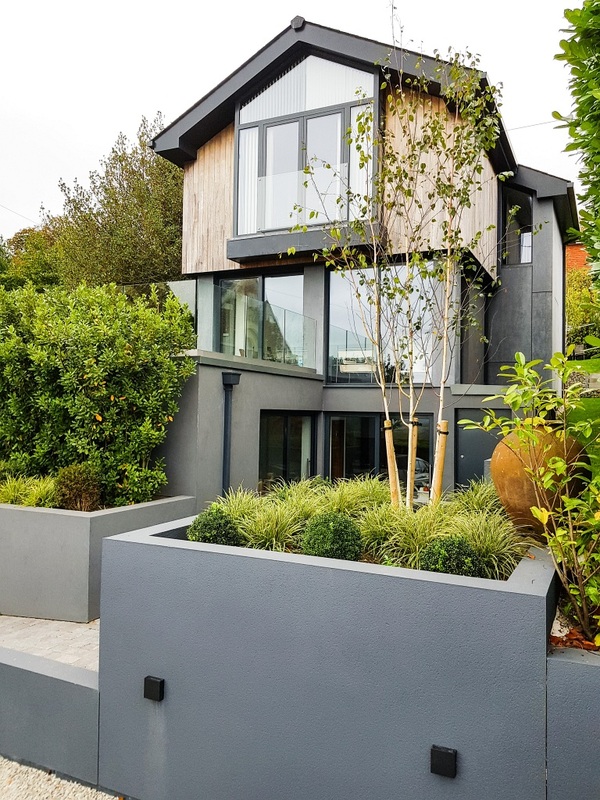 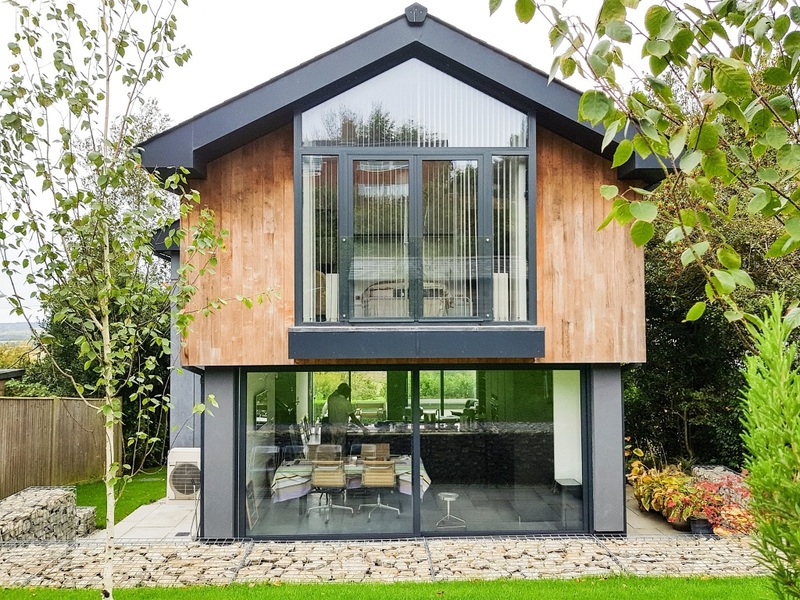 Colin Sharpe – CO3 Architects Ltd.
RIBA chartered architect based in Staplehurst specialising in sustainable design.